When we have eyes that are in good condition, it's common to forget about the importance of taking preventative steps namely, an eye exam. However, early detection of any eye or vision problems is crucial to maintaining healthy eyes. This can easily be done with a simple eye test. Many eye and vision ailments are a-symptomatic. Consequently, individuals are often unaware that problems exist. You can book a complete optical examination at our office in Albertville, where our highly-trained optometric staff provides service suited to the needs of every patient. 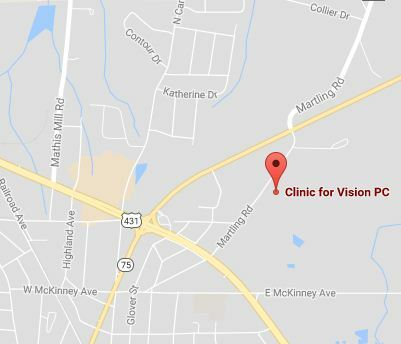 Our Albertville office employs cutting-edge equipment ensuring a complete eye exam. Unfortunately, more than three million Americans suffer from glaucoma, the main cause of blindness but only half of them are aware. Glaucoma is often nicknamed ''the sneak thief of sight'' because it can strike absent of symptoms. The majority of adults in America fail to use visual aids and don't schedule comprehensive eye exams, therefore putting their eyes at substantial danger. The unfortunate fact is that most people don't realize that sight-stealing diseases such as glaucoma and cataracts often have no early symptoms and without a comprehensive eye exam are often discovered only when it's too late. Early eye disease detection should be on your check list. Be sure to set up regular eye exams with your local optometrist to maintain your vision and eye health for years to come.